Shiraz which is a cultural capital of Iran is always the heart of civilization in Iran and it is located in mild and exemplary weather in all seasons of the year and near Persepolis, Naghshe Rostam, Pasargad, Bishapour City, Temples, ancient place of fire, natural and picturesque view like Margoon Waterfall, Last Paradise, Parishan Lake, Bakhtegan Lake, and etc. As the other worth seeing places there are: Hafez, Saadi, Narengestan Ghavam, Zinatolmolk House, Afif Abad Gardan, Eram Garden, Shahcheragh Shrine, Ghoran Gate, Zandieh, Nasirolmolk Mosque, Atigh Principal Mosque, Vakil Mosque, and a lot of other interesting places. 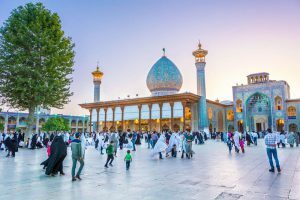 Now a day, visiting Shiraz is among each tourist plan that travels to Iran.